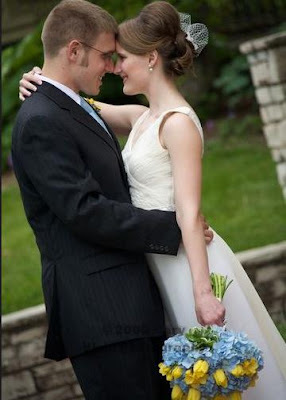 Elise and Ben were married this past May. 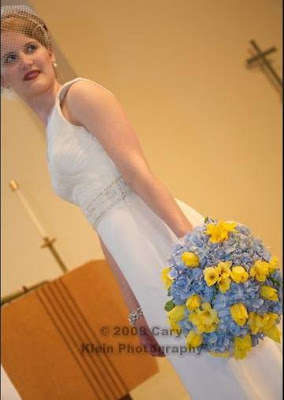 Blue and yellow were their wedding colors, so we designed a flower style around that. 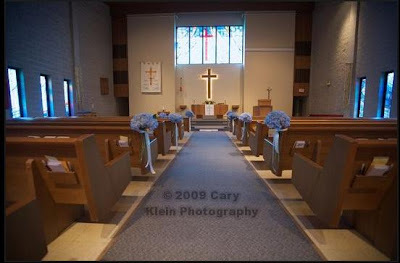 Take a look at these beautiful shots taken by Cary Klein. 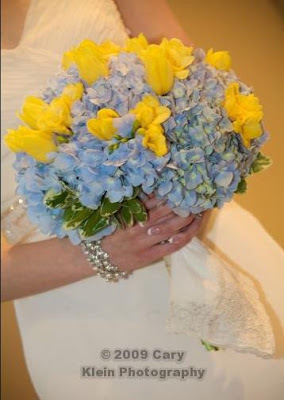 Elise carried a bouquet of blue hydrangea with yellow tulips and freesia. 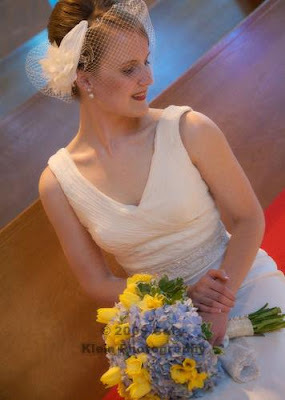 It was a very garden-y look with a vintage feel. 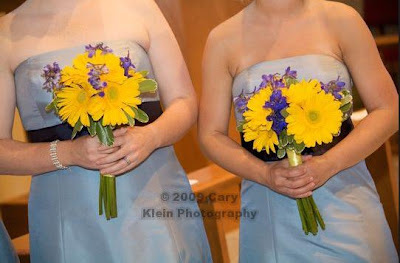 The girls carried yellow gerber daisies and blue delphinium to continue the garden-y look. 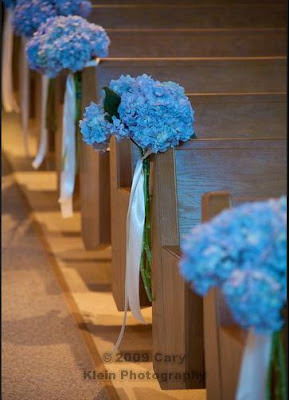 The aisle was lined with the bride’s blue hydrangea. 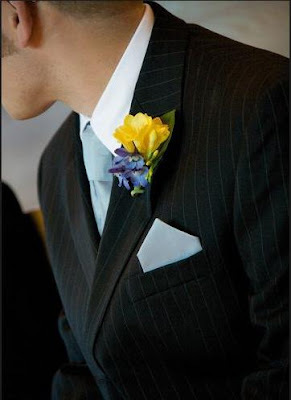 The men wore yellow freesia, with the groom in yellow and blue. 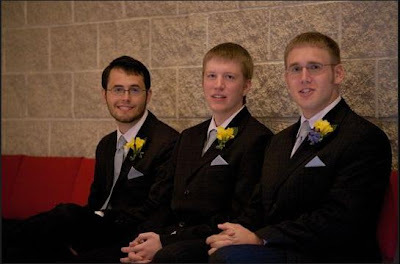 We wish Elise and Ben all the best!